A. Schulman Inc. and Adsorbed Natural Gas Products, Inc. (ANGP) have reached an agreement whereby A. Schulman, international supplier of high-performance plastic compounds, masterbatches, powders and resins, will join the coalition with ANGP to develop and produce the world’s first commercially viable conformable Type IV adsorbent-based low pressure natural gas (ANG) storage tank for motor vehicles. In February 2016, ANGP and United Technologies Research Center (UTRC) announced an exclusive licensing agreement allowing ANGP to use UTRC’s patent-pending technology to develop and produce storage tanks. A. Schulman will join the coalition as the material and molding solution provider to help develop a storage tank that meets the American National Standards for Natural Gas Vehicle Container (ANSI NGV2) certification. A. Schulman was chosen as a key participant in developing this advanced storage system for its Quantum carbon fiber composite technology. “We are honored to receive an invitation to join the coalition and look forward to developing the world’s first commercially viable natural gas storage tank to meet the needs of our end customers for innovative, light-weight and environmentally friendly products,” said Frank Roederer, senior vice president and general manager, U.S. & Canada and Engineered Composites, A. Schulman, Inc.
“A. Schulman, as a leading material solutions company, was selected to be the material and molding solution provider for the development of the tank after a careful review of all our options. 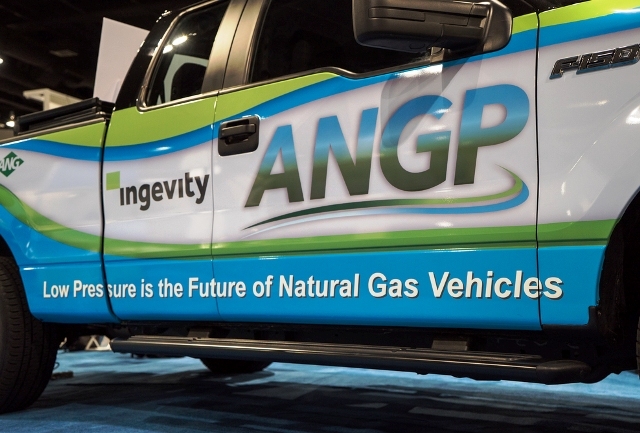 We are excited to add the company’s knowledge and expertise to our coalition to develop this technology for mass market acceptance,” said Bob Bonelli, ANGP co-founder and CEO.